There are 37 gorgeous shades of LipSense color for you to choose from, plus 2 limited edition fun summer colors! Browse through this post to see every color option out there. To narrow down your selection, you can browse earlier posts for what kind of finish you prefer: matte, shimmer, or frost (most shimmery), or you can look through different shade groupings: pinks, reds, neutrals, berries and purples, mauves, browns and black, or oranges and corals. Use the drop down categories from the Products link in the menu bar or sidebar to access posts with the products you’re looking for more quickly. You may also just scroll through all the posts. Here is a closer look at all 37 regular colors, plus the 2 limited edition summer colors (Coral-Lina and She’s Apples). Click on the photo of the color you’re interested in and it will open in a larger view from which you can arrow through the rest of photos. Some pictures have a description explaining the color variations on different skin tones or other helpful information. Happy hunting, enjoy all of your beautiful options! LipSense colors are sealed and your lips are kept hydrated through the use of a LipSense gloss. Glosses are applied as needed throughout the day to help protect your lip color from wearing off. 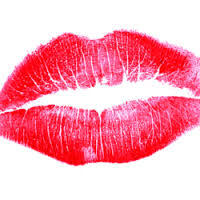 Some people gloss only 2 or 3 times a day, others gloss more frequently to help extend the life of their lip color. Depending on the frequency of glossing, most people will use up a tube of gloss in 2 to 3 months. You must use a LipSense gloss over your lip color – other brands of glosses smear or break colors down. LipSense glosses feel amazing on your lips and will leave them feeling healthier than you’ve probably ever felt. This is especially true of Glossy Gloss – the most important gloss and the once I recommend everyone start with. Even though it applies with a glossy shine, it doesn’t feel sticky or goopy, and within about 30 minutes it has dried in and left your lips with a much less shiny satin finish. Once you have your Glossy Gloss, you can experiment with the 10 other glosses LipSense makes and use them to add sparkle or change the look of your lip color with different tinted glosses. (See photo for how the same base color can be changed by different glosses). I personally enjoy the Orchid Gloss for the slight purple-pink tint, and the Sand Gloss for adding a warm beige shimmery tint. The Glitter Glosses are a fun way to add a delicate sparkle to your lip. If you enjoy a matte looking lip, best practice is to apply Glossy Gloss first to seal the color and then blot away the shine (or for extra hydration allow it to dry in for abut 30min), and then apply Matte Gloss on top. During the rest of the day, reapply just the Matte Gloss. While Neutrogena® facial bar soap will also remove LipSense, for the ease of being able to correct mistakes as you apply and the practicality of being able to slip your remover in your purse and use anywhere, I highly recommend using the Ooops! Remover. I wear LipSense multiple days every week, and I’m still on my first bottle of remover 7 months later. LipSense is removed most easily and conveniently using the Ooops! Remover. Neutrogena® facial bar soap may also be used. Apply Ooops! Remover generously all over lips. Use back and forth motion to help scrub lips and break down color, especially at areas where color is strongest such as edges of lips. Allow lips to soak with Ooops! Remover on to break down color for at least 60 seconds. The longer you allow the remover to soak on your lips (without fully drying in), the easier it will be to take the color off. Rub lips back and forth to help further break down color. Wipe off color. I find color removes most easily using moisture such as a makeup remover wipe, or a cotton makeup round with witch hazel or water. You often need to apply further layers of remover in order to get all of the color off (repeat Steps 2-4). A general rule is to expect to apply as many layers of remover as you did of color, however the longer you let the remover soak before scrubbing off, the easier it is to remove.